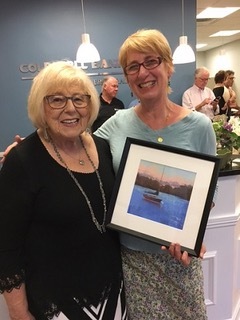 Twenty of my paintings were on view from June through August at the Coldwell Banker Residential Brokerage in Milton Lower Mills as part of their Open Studio Program. I sold several pieces during the run of the show, and there was hot competition for the painting I donated to be raffled off at the opening. Thank you Coldwell Banker for hosting the show! 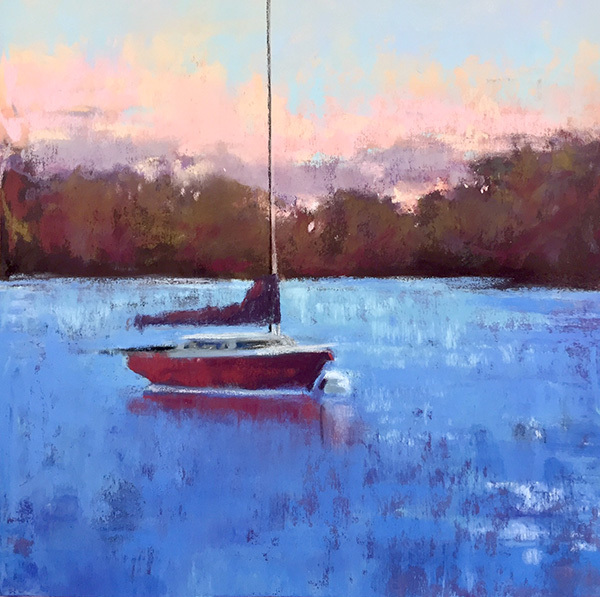 Magic Hour was raffled off with all proceeds going to support Milton Art Center. The Winner! Janet was very happy to take home Magic Hour!